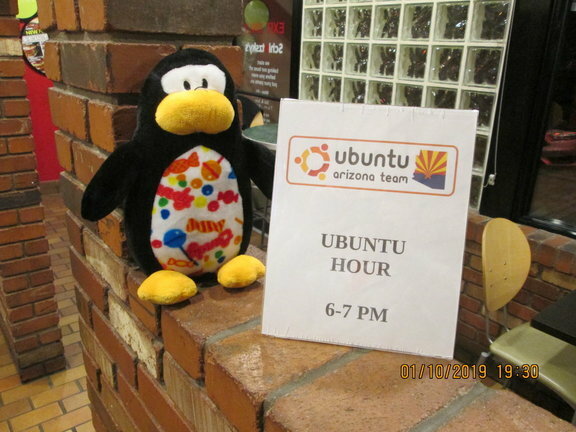 We are a volunteer not for profit organization of Linux users from Cochise County, Arizona. Our goals are to provide a platform for Linux users to talk with other Linux users about their problems and questions, to host presentations from members as well as outside individuals about Free and Open Source Software, and to expand the use of Linux Operating Systems on personal computers through out the county. We hold two meetings per month where we give presentations and discuss / troubleshoot anyone's Linux questions. Our meetings are (and always will be) free of any cost and open to the public, catering to any skill level or technology background. Our presentations cover a variety of topics, from beginner to advanced (even specialized topics given by Linux professionals). Check out our calendar for a list of upcoming meetings. We promote Linux to people that may not know they have options outside of Windows or Mac. We also inform people of other free and open source software that is available for their current systems. We offer a growing support network where experienced Linux users can help other users figure out any issues they may be having with their system. This includes installation, configuration, and much more. We give presentations on a variety of Linux and FOSS topics. These, along with the group as a whole, are completely free of charge and are open to anyone who wishes to attend.